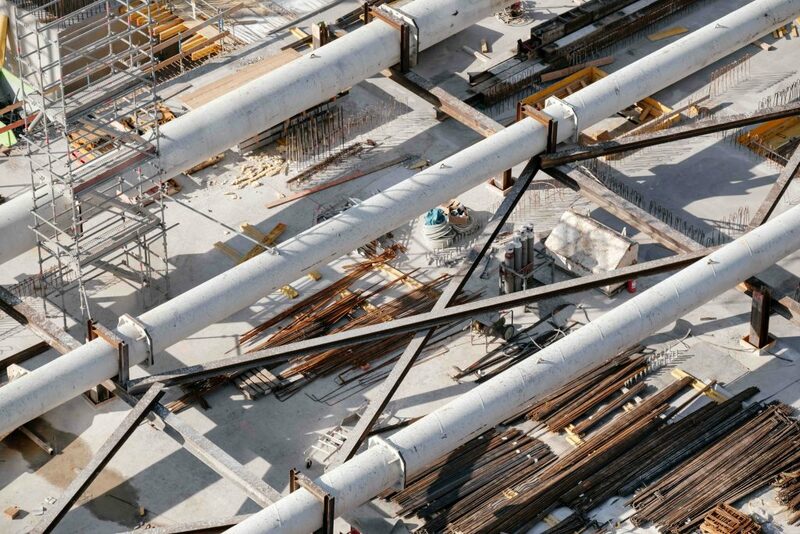 A new report published by global market research platform MarketsandMarkets predicts that the value of artificial intelligence (AI) in construction will balloon from $537 million to $2.41 billion over the next five years, states The Urban Developer. According to the report, market growth will be mainly driven the increasing adoption of cloud-based applications and services, growing big data, and increasing demand for intelligent virtual assistants. The major restraint for the market is the limited number of AI technology experts. As AI is a complex technology requiring the implementation of sophisticated algorithms, AI-based systems require deployment and integration, and support and maintenance services. Also, most companies that manufacture and develop AI-based systems and related software provide both online and offline support, depending on the application. The AI construction market is segmented into residential, institutional commercials, heavy construction among others. Of all the end-user industries, the market for manufacturing is expected to grow fastest during the forecast period. Increasing data volume derived from the manufacturing value chain has led to the involvement of AI-enabled data analytics in the manufacturing sector. In addition, several industry initiatives, such as Industry 4.0, a connected manufacturing initiative by the German government, have proliferated the growth of AI-enabled devices in manufacturing. The residential sector is also forecast to experience high growth due to an increasing demand for luxurious and high-rise residential buildings. Currently, AI technologies are effectively used for various applications in construction, including project management, field management, risk management, schedule management, supply chain management, equipment and materials management, resource management, subcontractor management, and cost management. Early adopters were benefiting from AI solutions and services by reducing the duration and cost of construction, while also being able to increase return on investment, the report said. The Asia Pacific region is set to grow at the fastest rate, with construction companies in rapidly growing economies, such as China, Japan, and Singapore, using AI tools via AI platforms across different industries to provide effective solutions. North America continues to have the largest market size, where construction firms have made sizeable investments, while several vendors have modernised to cater to the rapidly growing market. Last year, Australian robotic technology company, Fastbrick Robotics Limited, entered into an agreement with construction giant Caterpillar, to discuss and develop a potential framework for collaboration regarding the development, manufacturing, sales, and services. Similarly, Aussie startups like SafetyCulture and Assignar — a cloud based platform built to help construction contractors improve efficiency, workplace safety, and project profitability — have attracted venture capital from leading Australia-based venture funds including Blackbird and Our Innovation Fund, alongside Silicon Valley titans Index Ventures.